What makes the National Settlement Services Summit (NS3) the industry’s premier event…the Attendees! Recent years have seen over 850 companies attend NS3. Attendees return year after year to this all-inclusive event to learn and discuss the most important issues impacting their business, continuing to walk away with new contacts and business partnerships. 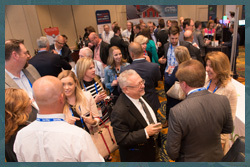 As the premier destination for high quality education and unmatched networking, NS3 is the only industry conference that brings together everyone involved in the real estate transaction from start-to-finish. If you are looking for an industry conference to address every aspect of a transaction impacting your business, NS3 is the place to be to make sure you remain At The Center. Attorneys’ Title Guaranty Fund, Inc.
Futura Title & Escrow Corp.
Professional National Title Network, Inc.
Don’t see your company listed above? Register today to attend and experience what NS3 has to offer.